Are you planning to travel to Thailand? If you are then you’re in for a treat. Thailand is a popular holiday destination that attracts visitors from all over the world. And with its lush jungles, stunning temples, incredible beaches, world-class diving and amazing food, is it any wonder? 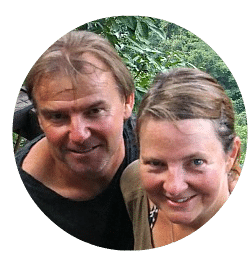 We’ve been travelling to Thailand for thirty years and we absolutely love it. The people are warm and welcoming, transport is easy and the hot weather suits us to the ground. It’s a feast of fun and we can’t recommend a Thailand vacation enough. But, as with anything a few Thailand travel tips can make your trip easier and more enjoyable. 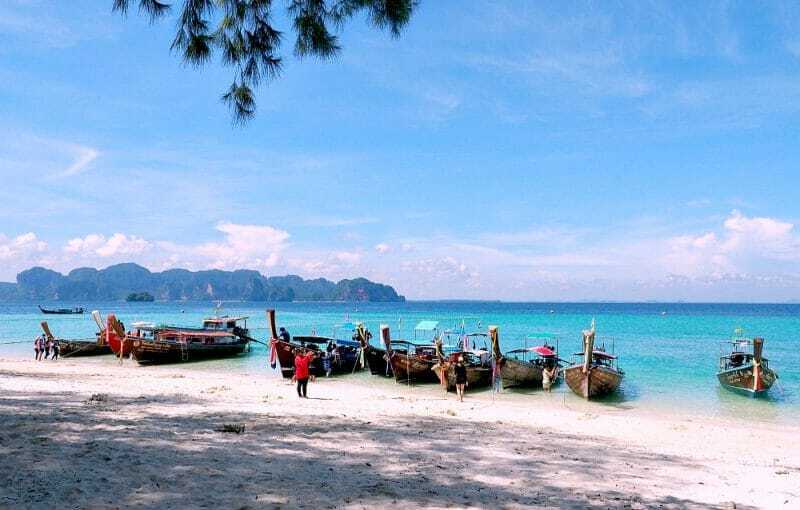 So, whether you’re about to set off on a family holiday, Thailand backpacking trip or a romantic getaway this post is for you. 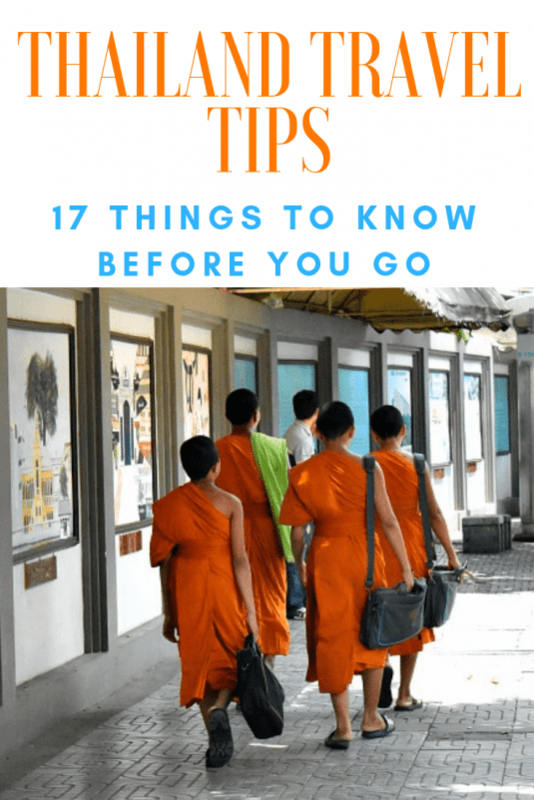 Get the most out of your Thailand holiday with these top travel tips. Most people arrive at Bangkok’s main airport Suvarnabhumi. Unfortunately, the airport is crawling with taxi touts. Who offer exorbitant rates and are just waiting to pounce on unsuspecting holidaymakers. You can avoid the hassles, and expense, by heading to the first floor and queueing for a public taxi. Taxis in Thailand are metered and we’ve never had a problem using them anywhere in the country. Just be sure to ask the driver to turn the meter on. If you’re heading to the Khao San Road/Soi Rambuttri area walk past the taxi queue for another 50 metres. You’ll see a bus labelled Khao San Road that will take you there for 60 baht. Visas for Thailand are not required for visitors from most western countries for stays of up to thirty days. However, for Australians and many other nationals, this only applies if you’re entering through an international airport. If you enter the country through a land border you’ll receive a stay of up to fifteen days. We were able to extend our thirty-day stay at the Thai Immigration Office in Bangkok without any problems. But, it’s best to get a tourist visa in advance if you plan to stay longer. Tourist visas are for stays of up to sixty days and are available at foreign embassies. Debit and credit cards are widely accepted across the Kingdom of Thailand. We were able to use ours in bars and restaurants, in guesthouses, and at 7-11 stores. You can even pay taxis by card. It’s a good idea to carry some cash with you though. 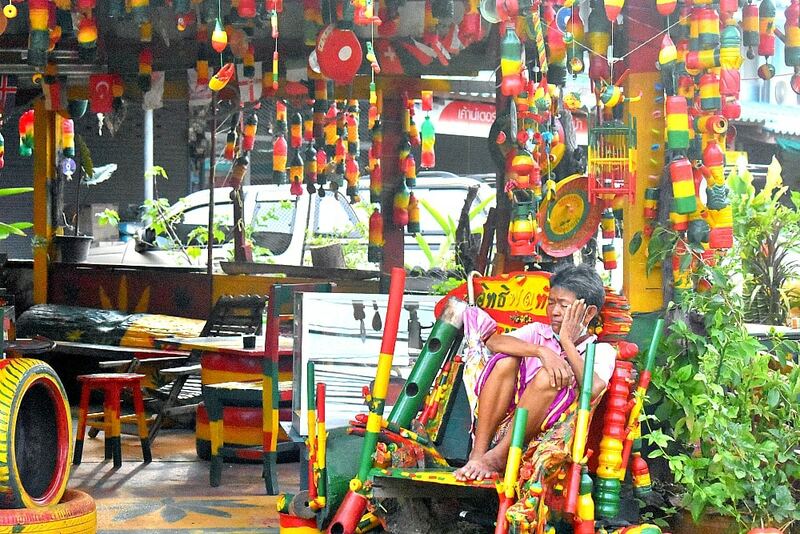 As you’ll need to pay tuk-tuk drivers, street stalls and smaller hole-in-the-wall food outlets in cash. ATMs are widely available throughout Thailand, but if you’re heading to remote areas it’s best to stock up on cash before you go. The Thailand currency is called the Thai Baht. Thailand has a tropical climate and average temperatures in Bangkok range between 26º and 31º Celsius. The coldest months are from December to February and the hottest months are April to June. The rainy season starts in May and lasts until late September to early October. Travelling in Thailand during the rainy season is not a good idea. I know people, bloggers included, will tell you it only rains for a couple of hours in the afternoon. But trust me, it can rain for days and floods in Thailand happen nearly every year. It’s also not that nice. The sky is grey and overcast all the time. And it’s so darn muggy your clothes stick to you like a second skin. So when is the best time to travel to Thailand? The best time to go to Thailand is from November till March, after the monsoon and before the sweltering heat sets in. Just be aware, the islands on one side of the country have a slightly different monsoon to the ones on the other. 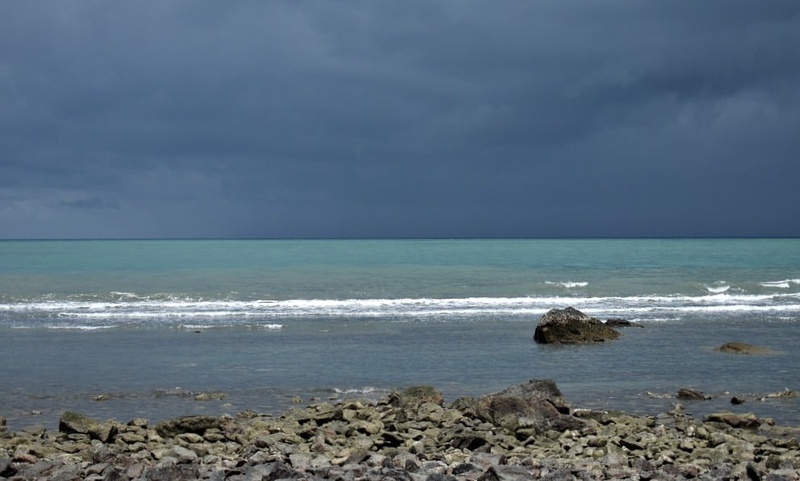 Stormy skies in the rainy season. There are so many incredible things to do in Thailand it’s tempting to try and cram in as much as possible. But don’t try to do too much. Madly dashing between tourist sites will leave you frazzled and exhausted. And you’ll return home feeling more tired than when you left. 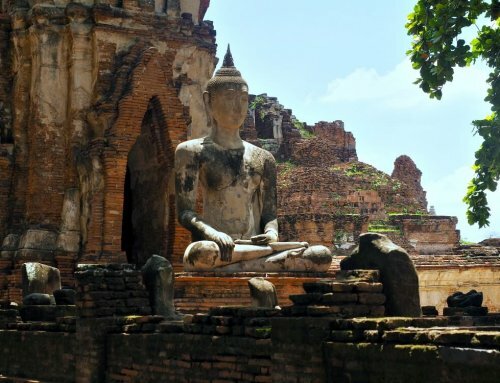 Slow down and focus on just a few of your top Thailand must-sees instead. If you only have two weeks in Thailand it’s best to focus on either the north or south with a few days in Bangkok. Don’t try to do both. This way you’ll be able to relax and enjoy the moment without worrying about transport and schedules. And it allows you to be more spontaneous as you aren’t bound by a strict itinerary. Want to laze on the beach for the afternoon? 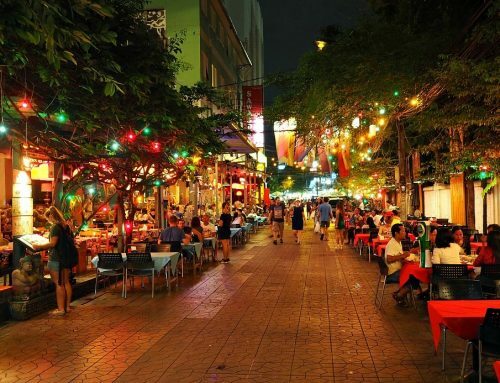 Get lost in Bangkok’s alleyways? Or check-out a gorgeous local temple? When you aren’t in a hurry to be somewhere else there’s nothing stopping you. The people of Thailand are welcoming of visitors and tolerant of any cultural indiscretions they may make. But that doesn’t mean you shouldn’t make an effort to be more culturally aware to avoid making a faux pas. Here are a few tips to help you steer clear of any embarrassment. • Be mindful of Thai religious etiquette and dress appropriately. Make sure you cover your shoulders and knees. This means no tank tops, sleeveless shirts, short shorts or mini skirts. See through clothing is not appropriate either. 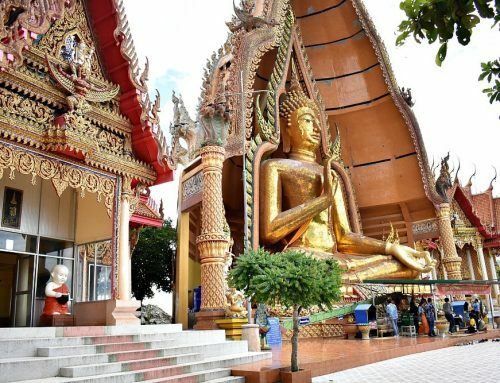 • Many temples and religious sites have become popular tourist attractions in Thailand. But visitors are still expected to show respect by not climbing on religious relics or showing disrespect to Buddhist images. • Feet are considered dirty and should not be pointed at people or sacred images especially Buddha images. Remember to always remove your shoes before going indoors. To make things easier we recommend these awesome hiking sandals when travelling in Thailand. You can check out our guide to the best womens hiking sandals by clicking here. • A person’s head is thought to be the most important part of the body. And like elsewhere in the world it’s considered rude to touch someone else’s head. The only exception is for close family and friends. 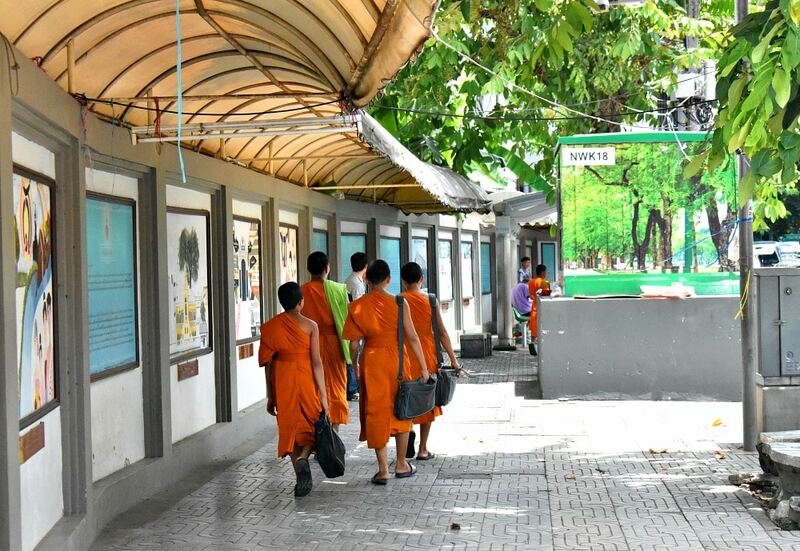 • Be careful not to show disrespect towards monks as they are highly revered in Thai culture. On public transport, monks have designated seats. But if there aren’t any seats available you are expected to stand and offer them yours. • Women should not touch monks, hand them anything directly or sit next to them or their belongings. Be careful not to brush up against them when walking in the street. • Thai people are very sensitive to anything that could be taken as disrespectful toward the King or Royal Family. It’s also illegal, so it’s best not to talk about the monarchy at all. As many cultural sites won’t let you inside if you aren’t dressed appropriately it’s handy to carry a sarong or scarf with you. That way you can quickly wrap it around your shoulders or legs and avoid any embarrassment. Animal tourism is big business in Thailand (and around the world). And tourists love interacting with elephants, bears, monkeys and even snakes. Unfortunately, these animals are taken from their mothers’ as babies and are subjected to systematic torture. Just so they can perform for the tourist crowds. So think twice before you ride an elephant, wrap that python around your shoulders or laugh at dancing monkeys. And beware the so-called sanctuaries that are anything but. Do your research. You might not think you need a jumper in tropical Thailand. But Thais love air-conditioning which means buses and trains can be freezing! So pack a jumper or light-weight jacket and keep it handy when you’re on public transport. It can also be cold in the cool season (well duh). Especially in mountainous areas, but even the islands can have a chill in the air at night. Everyone wants to return from their Thai holiday sporting a golden tan. But too much sun can cause painful sunburn that ruins your holiday. We’ve even seen people going shirtless that were so badly burnt they had blisters. So slather on the sunscreen before you head out for the day. And don’t forget to reapply! Renting a scooter might seem like a fun way to explore Thailand, but it may not be the wisest thing to do. Even the most experienced riders struggle with Thailand’s road conditions. It’s more than likely you’ll see people sporting bandages or hobbling around on crutches. We met a girl who had a wide gash on her leg from a motorbike accident. Although she’d been treated in a hospital it wasn’t healing properly and it looked like she might have to go home. Also unless you have a motorbike license from your home country you most likely won’t be insured. When it comes to domestic flights in Thailand you need to plan in advance or you’ll end up paying too much. Tickets are much cheaper when you book ahead of time rather than waiting until you arrive. And the further out from your travel date you book the cheaper it will be. It seems like there’s someone trying to scam you on every corner in Thailand. So it pays to keep your wits about you. Don’t trust randomly helpful strangers that approach you in the street, they’re rarely genuine. The Grand Palace Is Closed Scam: Someone tells you that the Grand Palace or tourist attraction is closed due to a special holiday, religious ceremony, or some other made-up reason. They’ll then recommend an alternative site that is oh-so-special, and a tuk-tuk will just happen to be on hand to take you there. Should you go along with them you’ll be taken to a jewellery or tailor shop and pressured to buy, buy, buy. The Jet Ski Scam: It starts out innocently enough. You hire a jet ski from a guy who seems like a “top bloke” who laughs and jokes with you. He even gives you a special deal. Then when you return the jet ski after a fabulous day on the water, he claims it’s been damaged and demands an outrageous repair fee. If you refuse to pay the fee, men in uniform will miraculously appear and threaten to arrest you. These men are not officials and there have been reports of violent behaviour. For this reason, we don’t recommend hiring jet skis in Thailand. The 20 Baht See Everything Scam: Tuk-tuk drivers will offer you ridiculously cheap city tours or something similar. If you take them up on the offer you’ll be taken to shops and restaurants where he can get a commission on your purchases. If you can’t be harassed into buying something that 20 baht ride will turn into 500. Pickpockets hang around in gangs waiting to spot unsuspecting victims. One will keep a lookout, while another will distract the target. A third will steal or slash the bag and pass it to a fourth person who escapes with it. Your best defence is to stay alert and hide your valuables from view. I like to use a slash resistant, cross-body bag that can be locked. And I keep it wrapped around me at all times. Watch this to see sneaky thieves at work. Muay Thai is like kickboxing but it also includes elbows and knees. Visiting a fight is one of those unique things to do in Thailand and you’re sure to get a kick (!) out of it. You can easily find a show in all Thailand holiday destinations. Many attractions in Thailand charge one price for locals and a more expensive fee for tourists. It may seem like discrimination, but it’s common practice in countries all over the world. Knowing this happens in advance can ease the shock when it comes time to pay. You can buy beer and mixers in shops, 7-11 stores and supermarkets, between 11 a.m and 2 p.m, and from 5 p.m until midnight. Although, one shopkeeper happily unlocked the fridge for Andrew when he went to buy some Breezers in the afternoon. 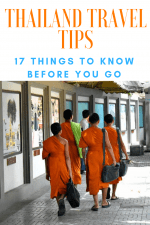 So there you have it, 17 Thailand travel tips to help you get the most out of your visit to Thailand. Our biggest tip? Get yourself a guidebook. Even with the internet (not always available) we love travelling with a Lonely Planet Guide Book. They have all the highlights and information you need including maps and walking tours. And they’re available on Kindle too. For more information check out our other Thailand articles by clicking here.